These supersized recliners feature extra-strong, heavy-gauge steel mechanisms, a taller back design, and additional seat support. 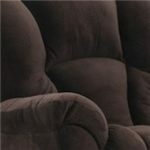 Industry standard Legett & Platt recliner mechanisms can support up to 350 pounds for everyday use. 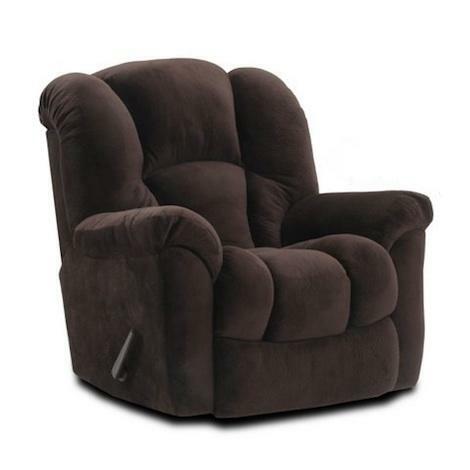 Relax in large-scale comfort with this overstuffed rocker recliner. Featuring a plump bucket-style back and pad-over-chaise seat, this chair offers soft, bonded leather cushion from head to toe. In addition, pillow arms and an easy-to-use rock and recline mechanism lets you soothe yourself into the ultimate relaxation. The perfect addition for your family room or entertainment area, this recliner will quickly become your favorite seat in the house. The 116 Casual Rocker Recliner with Bucket Seat by HomeStretch at Dunk & Bright Furniture in the Syracuse, Utica, Binghamton area. Product availability may vary. Contact us for the most current availability on this product. Seat Back Plump Bucket-Style Back, Large Scale 44"
Browse other items in the 116 collection from Dunk & Bright Furniture in the Syracuse, Utica, Binghamton area.